Most of my 20's was spent getting myself together, I took a little longer than some to be honest. My focus was on getting married, having a baby, and putting myself through college. My lack of college education was a big road block for me so after I had Madison I pushed aside my fears and went for it. My graduation day was almost something I couldn't imagine for myself, heck I'm tearing up just thinking about it. After graduation I wasn't sure what to do with my life, I majored in business, but it's such a wide field I felt a little directionless. 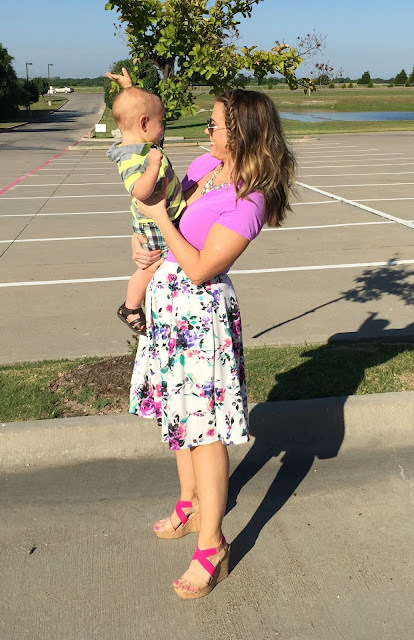 I finally landed a job I liked in HR for a local company, but during this time I found out I couldn't get pregnant and whatever free time I had I obsessed about getting pregnant - for almost 2 years of my life. There were so many things I felt I couldn't do because SURELY I would get knocked up this month.....over and over again. God blessed us with the cutest bald baby and I spent the next 2 years being pregnant and then adjusting to working full time with two kids. It just wasn't the right time to take on more responsibility. Earlier this year I was invited to shop market in Vegas with PinkSlate Boutique and after spending a few days with Susan and Amber where I literally felt like I was in shopping heaven I was so inspired. Then I had dinner with Jill from Sugar Love Boutique who talked to me about working with her kids to open their first store front. These women all have families and still chase their dreams, why couldn't I do the same? The number one thing holding me back was time, I feel like I already max out most of my days between the hours of 4:22am and 10pm. I brought it up to Oliver one day and to my surprise he was so on board, he committed to helping me before work each day and for the first time ever I had confidence that I could do this, with my families support. My next obstacle was space and money! Oliver already takes up the extra bedroom for his office, he works from home full time and needs a door to shut when he's on a call, the only other option was to turn our dining room into an office/storage space. It's actually worked out really well, I am close to having it finished and I'll share the final product soon. Shopping for clothing is the fun part for sure, but we provided our own capital for this venture which is very scary, what if everyone hates what I pick out? I've almost had panic attacks thinking about it, but having faith in yourself is important and I'm trying to remember that! Originally I was only going to start out with regular size clothing - Small to Large - but after giving it some thought I had to go ahead and add a curvy line. No matter what my size was, I've worn anything from a 24 to a 6, clothing had the power to make me feel beautiful and confident in myself. 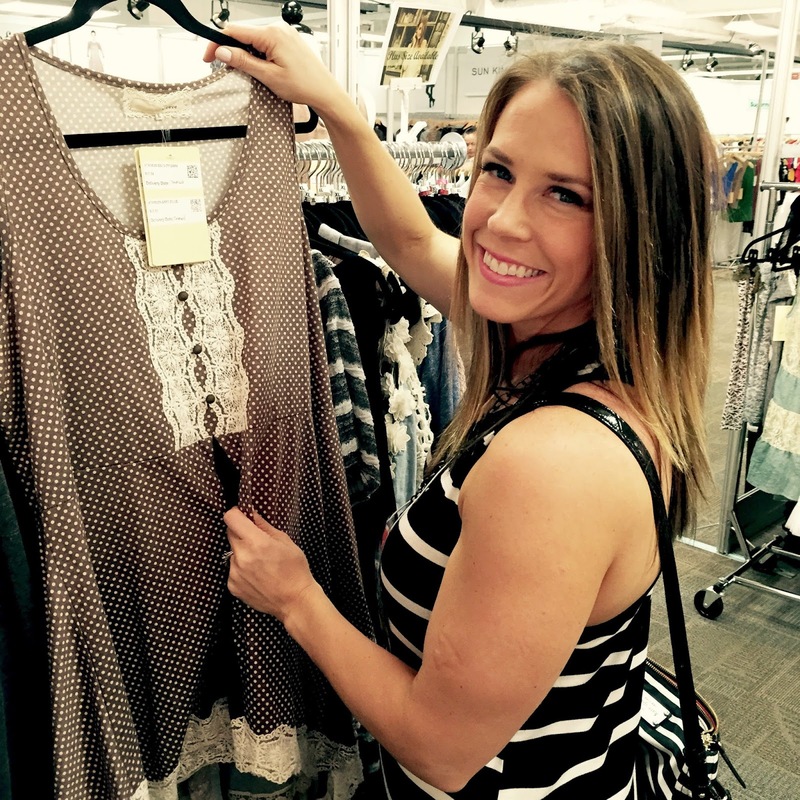 I love to shop for outfits and get dressed each day, even if it's just a cute tee and some jeans. The options for larger sizes can be limited so when I went to market for the first time last weekend I mainly shopped for my curvy girls, I'm so excited to show you what's coming! I can't even tell you have HARD it was to pick a name, it took me over a month to decide!! Ollie Marie is derived from my entire family - Madison and I's middle name is Marie and Ollie is short for Oliver which is my husband name and Aiden's middle name. One of the models is my sister Katie - whom I love for showing up to take pictures for me whenever I ask! The others are my friends who always make me laugh and support me, I truly appreciate it more than they know! Right now I am not quitting my full time job, I have long term goals, but for now I just have to see how everything runs and decide on the future from there. There have many many moments in my life where I've looked back and thought - damn I'm sure glad I took that leap of faith - I'm praying this is one of those moments. 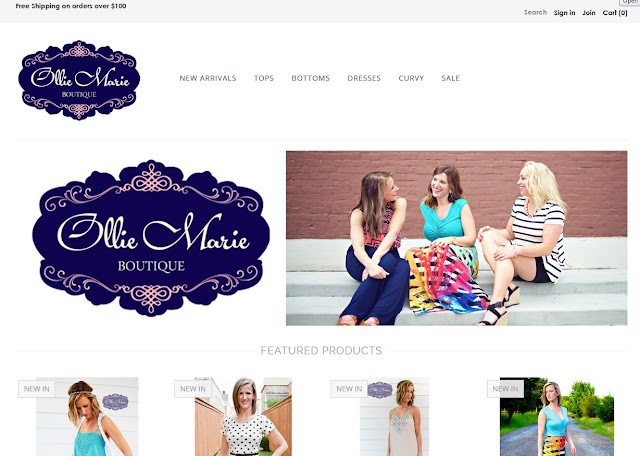 To celebrate my Grand Opening of Ollie Marie Boutique I am offering 20% off every one's purchase through this Friday! I really want to take a minute and thank each and every one of you who have supported me through my blog for the last several years, it's changed my life and I thank all of you who read my little corner of Internet. This is amazing!! I love your styles and always adorably put together outfits. 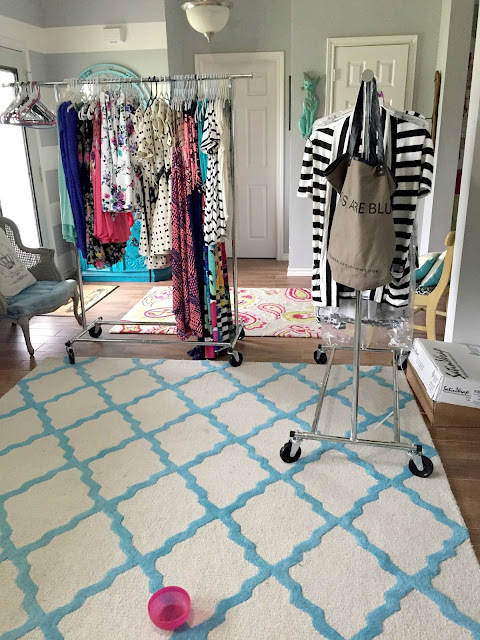 Now we can basically shop from your closet?! I have been following your blog for a few month now and love coming here everyday for inspiration, advice, and laughs. Congrats on this new venture!!! Congrats on opening Ollie Marie... I always thought you would be the perfect candidate to open a small clothing boutique. You have great style and will go far with this business. Best of Luck! OMG I am so excited!!! You are always amazing looking and I can't wait to place my first order! I hope it grows and grows and can become your job...that would be so awesome! Congrats! Oh my goodness! How exciting!! I love love love your style and absolutely cannot WAIT to place an order! Your blog is so inspiring and I love being a reader. Congratulations on this next venture! Hi Meg- I've been following you since I first did your blog design for Miss M's. You have a wonderful sense of style and are definitely an inspiration to all women. Question, when do you think you will start to offer shipping internationally? Us Canadians would love have your styles up here too! Very excited for you, especially because we have similar builds ;) Will you be able to ship to DPO box (like an APO box), my husband is active duty and we just moved to the Dominican Republic! Congratulations! Awesome!! I'm so excited for you! I just love reading about you and your little family. Congrats lady! This is amazing and once again you are a huge inspiration to us all to go chase our dreams and not being afraid of what could and couldn't happen! I can't wait to shop your store - I love your style! Oh my goodness! How amazing is this opportunity and you just went for it! I am so proud of you, and I can't wait to support you! I am just SO excited for you! 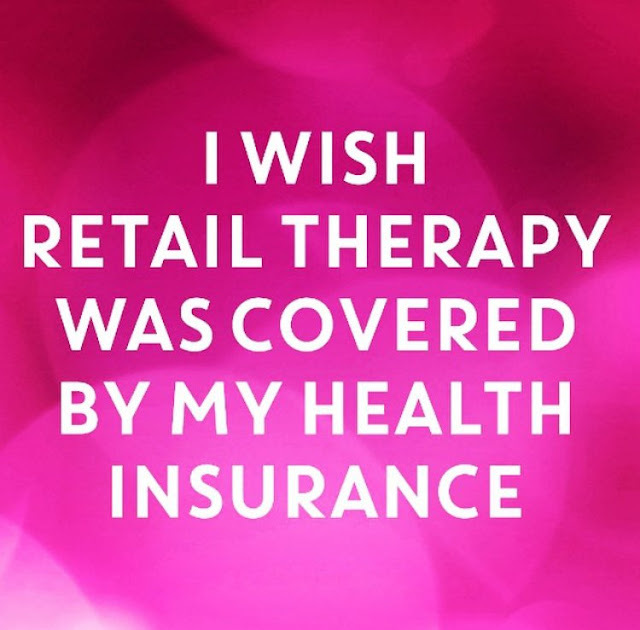 I can't wait to see what you have available! how exciting! wishing you the best of luck! YAY! And Thank you for thinking of the big girls! I have such a hard time finding things in my size. You are amazing. So happy you followed your dreams! Best of luck. And I'll definetly be supporting Ollie Marie!! Yay, great job Meg! Love love reading your blog. I feel like I know your family, and I love it. Congrats to you! I wish you nothing but success in your new endeavor! Just placed my first order! Such cute things with great prices!!! Thanks so much for adding Curvy! Can't wait to see what is added each week! Congrats! I can't wait to see what I'm going to order first! You always have the cutest clothes!!! Congratulations on your new adventure! Congrats!!!!! you are yet again inspiring me!! i might go chase a little dream of my own now...(nothing to do with clothes!) Wishing you all the best!! OMG!! I'm so happy for you! It's amazing and inspirational to watch women pursue their dreams! Get it girl. :) Selfishly I will be checking your website religiously for the perfect dress for my upcoming family pictures. Help a sista out! This is so exciting! You have such a great sense of style. I always love what you pick to wear. I'm so excited to see what you have in your line. Congrats! Love it - way to go, following your dreams, Meg! Congratulations!!! Yayy! I LOVE your style & seeing your outfits on IG! This is great! I have read your blog for quite sometime, but never really comment. 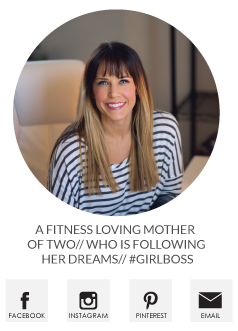 I am in the process of a weight loss journey, and as a working mom you inspire me tremendously. I have lost 20 lbs so far, and hope to continue on this journey. I always visit a local boutique, and their clothes NEVER fit me. I thought I would stop in today, and give it a try since I am going on vacation this week. Their stuff still doesnt fit me, and I am not that big of a girl (165 ish,) but boutique clothes run so small. So, thank you for offering things for curvy girls, because we like to look and feel good as well. Good luck! This is amazing!!!!! And on behalf of all curvy girls, THANK YOU. I literally was in years today going through my closet and finding only two items that fit me and aren't old or holey. I'm so excited!!!!! That's awesome, Meg - congrats! Love women who go after their dreams instead of just wishing for them! Just when I thought I had gotten over my self-loathing enough and it was safe to read your blog again, you go and blow me away once more. Congratulations! I am so excited to shop and support Ollie Marie! THIS is awesome! Congrats on following your dreams I can't wait to shop! How exciting for you I'm sure you will do wonderful! I am a long time follower/rare commenter. Have you heard of the boutique lace cactus? She is also a mom (from Texas!) that started an online boutique that has been very, very successful and ahe now has a store front. She is definitely geared towards a younger crowd, but I'm sure she would have lots of advice for you! This is super exciting! I'm very happy for you and excited to shop at Ollie Marie! I am excited that you have a "curvy" selection, and I hope that you'll find some elbow length shirts for us curvier girls. My arms are a little fluffier and I don't like the sleeveless or super short sleeved shirts! Looking forward to checking out your site now! :) I know you'll be super successful! I love your style. You are perfect for this endeavor! Best of luck to you. Congrats!!! This is so exciting!! If you ever need help from a marketing manager in upstate New York I'm your girl ;) Can't wait to get my shop on! P.S. I love learning more about you and realizing we have a lot in common (kids, body type, line of work, taste in clothes). In a [non-stalker-ish] way, it makes me like you more and gives me hope that my body can transform when I keep working at it! Congratulations!! Good for you for believing in yourself & chasing your dreams! Best of luck! you go girl! This is amazing. I'm am continually impressed and inspired by your energy and passion! Hey Meg, I don't think I've ever commented before but I've been a follower long enough to see you achieve so many great things! I am on vacation and shopping in little boutiques BUT not buying because I can't find anything that fits!!!! Ugh! Anyway, I just checked my email and see that you started Ollie Marie! You already sold out of so many cute things! Congratulations! I'll be shopping in curvy for like 2 months until I'm in size 8!! Get it girl! I just visited your site and most of your goods are selling out! Guess you need a bigger house/dining room. Bummer... ;) but really, so stoked for you. Everyone is always commenting "where do you find the time?!" But really, stop making the rest of us look bad. Leg Day is the Best Day. No more selfies for a while.